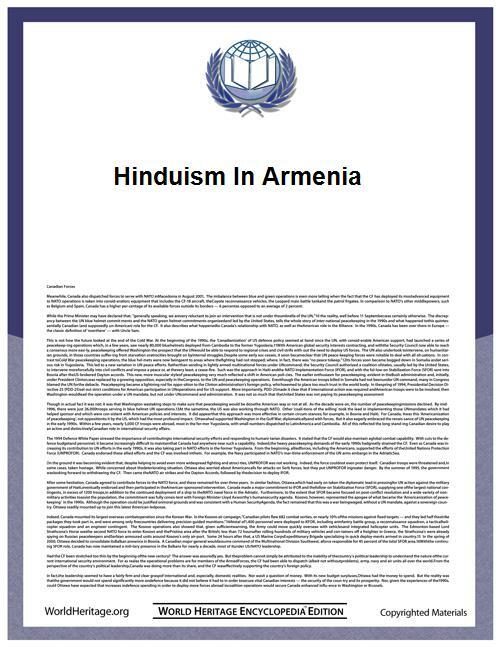 Hinduism in Armenia remains a minor feature in Armenian religious life, generally represented through The International Society for Krishna Consciousness and a minority of Indian students, with backgrounds in Hinduism. According to Zenob Glak, one of the first disciples of Gregory the Illuminator, the patron saint of Armenia, a Hindu colony was established in Armenia sometime around 149 B.C. Zenob wrote that the colony was established by two Indian princes who had taken refuge in Armenia. They worshipped images of brass, twelve cubits high. Under the pagan rulers, the Hindu colony flourished until the the dawn of Christianity in Armenia in 301 A.D. The ruins of the Saint Karapet Monastery, now in Turkey, stands at the site of the Hindu temples. The  In 1990 ISKCON was, for the first time, officially registered as a religion in Armenia. There are now about 250 ISKCON members resident in Armenia and ISKCON maintains congregations in the towns of Gyumri, Kirovakan, Yeghegnadzor, Kapan and Ashtarak. ^ Memoir of a Hindu Colony in Ancient Armenia, by Johannes Avdall, Esq., M. A. S., Journal of the Asiatic Society of Bengal, Volume V, Issue 54, 1836, II.